Dogs who have suffered immeasurable levels of cruelty deserve staggering acts of kindness. The Owen Fund was created to honor the inspiring spirit and bravery of this young pup who beat the odds. All too often, a dog like Owen would have been euthanized in a overcrowded shelter without fanfare. Another victim of abuse and neglect who endured the worst of humanity and then met a tragic and untimely end because no one had the time, energy, or resources to take in such a "damaged" dog. PAWS New England has always believed that these are the dogs that are the fabric of our organization and thoroughly deserving of every last resource we can summon for them. Owen’s story demonstrates the PAWS unwavering commitment. When there was no space for Owen in local TN foster homes, our volunteer flew to get him and drove him 900 miles back to an open foster spot. 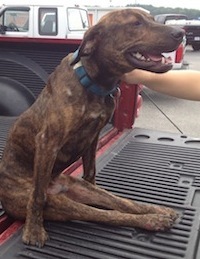 Taking on special needs dogs like Owen can require thousands of dollars in veterinary, training, and transport costs. 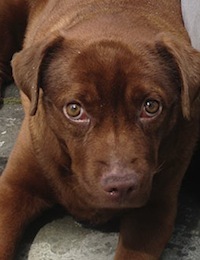 Fundraising for these special cases takes time, time that a dog with a life threatening medical condition may not have. PAWS has the expertise and the willingness to take in these difficult cases. What we often lack is the funding. 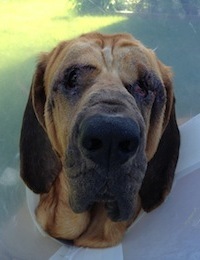 Please consider making a donation to celebrate Owen and help dogs like him that need a second chance. These are the stories of dogs who have had their lives changed because of the Owen Fund. Do you want to save the lives of dogs like these? If you want to help save the lives of dogs who have suffered so much and would otherwise be given up on, donate to the Owen fund today.